Dense, velvety florets in a regal shade of red. If your landscape needs a pop of color, these gorgeous blossoms are just the thing. 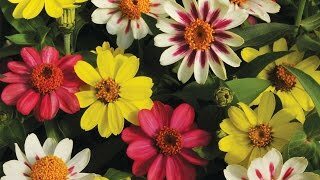 With dense, velvety florets in a regal shade of delicious red set amid beds of lush, green foliage, these easy-growing annuals work beautifully in your flowerbed or as cut flowers. Their showy color and vigorous nature made them winners during our trials.